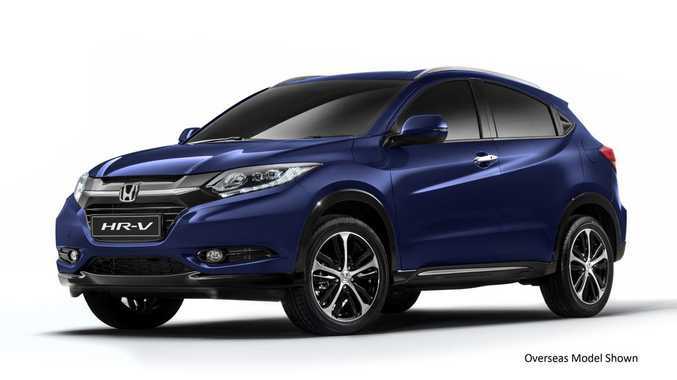 STARTING from $24,990, Honda will launch the HR-V compact SUV next month. The base model VTi with an automatic transmission will start from $24,990, with the VTi-S $27,990, the VTi-L will be $32,990 while the VTI-L with ADAS is $1000 more. "The HR-V is incredible value," said Honda Australia director Stephen Collins. "We are confident this vehicle will be well placed to battle it out in this highly competitive segment." THE resurrection will be complete when Honda brings back the HR-V compact SUV next February. Built on the new Jazz platform, the HR-V will be powered by a 1.8-litre four-cylinder engine which develops 105 kilowatts and 172 Newton metres of torque. Fuel economy will average between 6.6-6.9 litres per 100 kilometres. The 'Magic Seats' loved in the Jazz will also be carried over, which have the ability to fold the rear seats flat into the floor or in up to 18 different configurations. "The all-new HR-V is a very important model," said Honda Australia director Stephen Collins. "The HR-V will be positioned below the CR-V and complement our SUV line-up by offering versatility and practicality along with new safety technology, loads of features and of course a sporty, dynamic drive. We know consumers want more choice and we will offer that choice in the all-new HR-V, right into one of Australia's fastest growing segments."